Right Click on the picture and select the "Save Target as" option to save the video to your hard disk and then view it from there. I have recompressed some of my videos with a larger viewing size and less compression in the WMV format. While you will get Mo Better Viewing Quality it comes with a price of larger sized files to download. Videos with this exploding computer icon in the description are in the larger format. Dial up users need not apply. 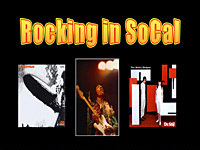 The videos with the larger thumbnails were shot using my High Definition Video Camcorder setup. I have also loosened up on compression to bring out the richer colors of HDV which means larger sized files. 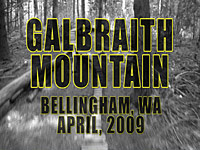 In April of 2009 while working the Seattle Washington area I went up to Bellingham and got in a couple of rides on Galbraith Mountain. This is one really awesome place to ride with stuff from XC to north shore style free ride stunts. You may find the music a little aggro but both of these tunes popped into my head while riding these trails. Right-click on the image to download the video that is 8 minutes and 17 seconds long and 116MB in size. Check out some of the playtime in the rocks around San Diego. This footage is bits gathered from about a year and a half of messing around out in this area. There are always lots of stuff to work your way up to out at this place. This place is a poorly guarded secret, so if you can't figure it out then don't ask. Right-click on the image to download the video that is 9 minutes and 46 seconds long and 139MB in size. 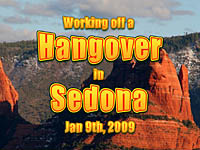 In January of 2009, I made a quite weekend trip to Sedona to catch a ride or two. This video of from day two when we rode "Hangover". This is a somewhat new trail that has recently came on the radar, but it is still not an offical trail yet. Right-click on the image to download the video that is 9 minutes long and 128MB in size. 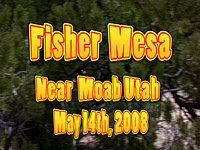 This is the final video from the May 2008, roadtrip through Utah and Colorado. Fisher Mesa was the ride on Day Five of the adventure. This was what I consider some killer XC mesa riding that had great views along with some wonderfully flowing singletrack that was just a freaking joy to ride. Right-click on the image to download the video that is 6 minute and 35 second video that is 87MB in size. 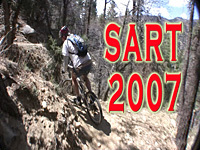 This is the third video installment from the May 2008, roadtrip through Utah and Colorado. 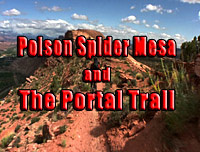 The Poison Spider Mesa and the infamous Portal Trail was our day four adventure. The exposed sections of the Portal Trail are by far the scariest bits of exposure I have ever seen. We were quite cautious in how we rode this trail and we walked a plenty. However when editing this video, I saw a couple of spots that I would not ride again. Right-click on the image to download the video that is 9 minute and 35 second video that is 130MB in size. In May 2008, I took a roadtrip through Utah and Colorado which included a few days in Moab. 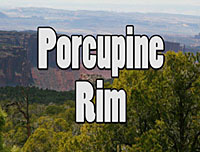 This video is from the Porcupine Rim from the third day of the trip. This is considered a must-do ride for many people when in Moab and I would not disagree with them. A good chunk of the footage here is from the Upper Porcupine Single which starts well above the traditional listed route. The trail status may change in the future so check with the shops in town before checking it out. Right-click on the image to download the video that is 8 minute that is 109MB in size. In May 2008, I took a roadtrip through Utah and Colorado which included a few days in Moab. 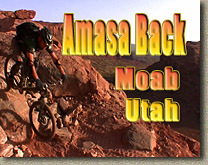 This video is from Amasa Back from our second day of the trip. We had driven from St George earlier in the day and had just enough time to do the traditional out-and-back route. I'm looking forward to getting back there to further explore this place. Right-click on the image to download the video that is 7 minutes and 20 second long and 97MB. 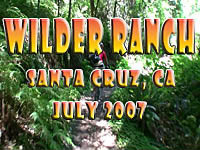 In July of 2007, I rode Wilder Ranch near Santa Cruz for the third time. I really enjoy this place as itis exceptionally beautiful. I love the way you can end your loops with a cruise along the bluffs overloooking the Pacific Ocean. There are lots of fireroads, but there are also some really nice singletracks. Also just to the east UC Santa Cruz where you will find quite a few nice singletracks there as well. Right click the image to download the 4 minute and 29 second video that 61MB. 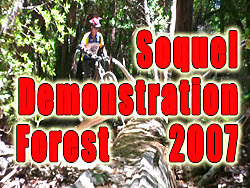 In July of 2007, I rode Soquel Demostration Forest near Santa Cruz for the second time. This place has a very "North Shore" feel to it. There are quite a few free-ride type trails in the forest. Unfortunately I did don't get to ride them on this trip. This video shows mostly of the Ridge and Sawpit trails. I am going to go back to hit up the Braille and Tractor trail on a later trip. The lighting conditions were extremely harsh on this day making for some less than ideal footage. This 4 minute and 35 second video is 58MB. 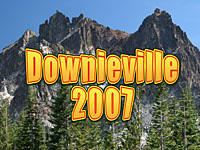 Downieville, located in the Sierra Nevada Mountains of Northern California, has some incredibly awesome trails that will test your riding abilities while amazing you with breath taking scenery. 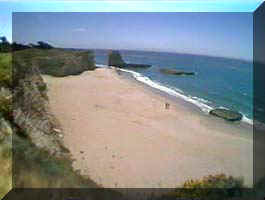 I spent a few days here during my Summer 2007 Norcal trip and barely scratched the surface of all the riding that is available there. I will certainly be back for a day or ten. Right click on the image to download the nine minute video that is 118MB. I simply love Idyllwild. The awesome people who are putting these trails together really know what they are doing. This video was mostly shot in the Herkey Creek area but include stuff closer to the town itself. 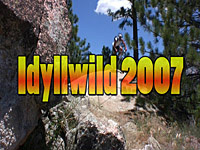 I consider this video to be Idyllwild Volume II as none of the trails in my Idyllwild 2005 video are included in this video. This 13 minute video is 179MB. 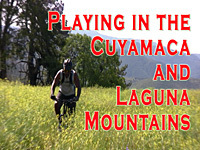 We spent a day playing in the Cuyamaca and Laguna Mountains on May 19th, 2007. Our 40 mile adventure, included my Cuyamaca to Noble Route, the Laguna Mount Recreation Area and the upper part of Noble Canyon. A portion of this route is also part of the "Tour De Noble". There were plenty of spring time flowers in bloom made this a beautiful day to be out on a mountain bike. This 8 minute and 29 second video is 114MB in size. 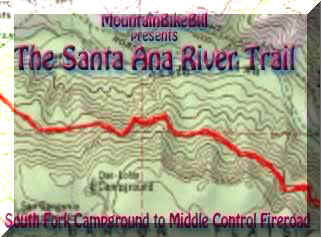 The Santa Ana River Trail is a SoCal Classic trail. This video was shot in May 2007. This is my first video working with a new helmet camera setup. I am still working the bugs out of the setup. (Like you will see the edge of a filter I was using with the wide angle adapter. This nearly 11 minute video will set your hard drive back 127MB. I have been going through some of my older videos and reencoding them to newer standards with better quality. Mount Fuji, Japan - One Helluava Hike-A-Bike. 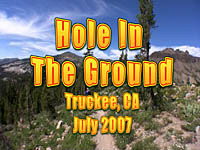 This video was shot on June27th, 2004 just before the hiking season opened. This video is a little different than most of my videos, somewhat brooding in tone. There are a few pictures in here taken on my second climb that show the views on clear days. File Size: 121MB. The Rainbow Rim Trail, on the North Rim of the Grand Canyon is the only single track that runs along the rim of the Grand Canyon that is open to Mountain Bikes. I took this footage in August of 2006 during Arizona in Summer tour. But it took me over seven months to figure out who I wanted to do the video. Right click on the image to the left to download the eight minute and 11 second video that is 88MB. Broken Mesa near St. George, Utah. This video was shot on April 9th, 2006. I had a difficult time trying to capture the feel of the Upper Ice House trail so I ended up shelving this footage for the better part of a year. I finally decided that going "unplugged" was the best way to show this trail. Right click on the image to the left to download the eight minute video that is 80MB. During my Arizona in Summer tour, we snuck in a quick run from Flagstaff to Sedona for an early morning ride. This video shot on the Cathedral Loop. Right click on the image to the left to download the five minute video that is 50MB. Mount Elden in Flagstaff, Arizona has a really cool and large network of trails that offer some sweeping vistas and rip fest descents. This video was shot in August of 2006 during my Arizona in Summer tour. Right click on the image to the left to download the five minute video that is 50MB. The Freeman Creek Trail in the Giant Sequoia National Monument, while short in length, is high on quality with mountain bike access through the largest Giant Sequoia grove outside of the Giant Sequoia National Park further to the north. Right click on the image to the left to download this 9 minute video that is 95MB. The Cannell Plunge 2006. I finally made it back to Kernville for another run on the Cannell Trail and "The Plunge". From Sherman Peak at 9,909 feet to the riverside park in Kernville at about 2,300 feet there is no shortage an great descents on this 32.5 mile epic. Right click on the image to the left to download this 9 minute video that is 95MB. The Cowboy Trails, near Las Vegas. Yeehaah!! There are plenty of technical goodies to be found on these rocky singletracks that often have expansive views of the mountains to the west or the Vegas strip to the east. If you are looking a good place to ride in Vegas, this may be the safest bet in town. Right click on the image to the left to download this 7 minute video that is 71MB. Copper Canyon in Mexico. This amazing adventure tour was a truly enriching life experience full of culture and untamed ancient trails. The surreal vistas easily make this one of the most beautiful places on our planet. Right click on the image to the left to download this 16 minute video that will set your hard drive back 166MB. Idyllwild, nestled in the San Jacinto Mountains, offers miles of single track that rolls through forest, rock gardens, alpine meadows as well as scrub brush. This video is made from a couple of trips to Alvin Meadows in September and October of 2005. The 88MB video runs 8:25. The 2005 Lake Tahoe MTBR.com Gathering, July 7th-11th. This was great weekend of riding and hanging out with some new folks and seeing some old friends again. It is 65MB and runs 9 minutes and 8 seconds. This video is the first I have compressed in the WMV format so you will need to have some version on Windows Media Player. Here is the video from Day 7 out at the Kokopelli's Area of Fruita. It includes portions of Mary's, Rustler's, and Steve's Loop as well as Horsethief Bench. File Size: 52MB. Gooseberry Mesa, near Hurricane, Utah, was like nothing I had ever ridden before with some awesome terrain. Shot on Day 3 of my Spring 2005 MTB Road trip. File Size: 42MB. Pinyon Flats to Palm Springs New Years Day Epic - 29 miles from 4,000 feet or so up in the Santa Rosa Mountains down into Palm Springs at 500 feet. This was no downhill bombfest as there was over 2,000 feet climbing involved over some sometimes frustrating terrain. Files Size: 53MB. 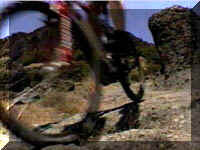 Here is a video shot while at the 24 hrs in the Old Pueblo race in Tucson AZ February 14th and 15th, 2004. I was on the SCUMBAGS SS four man single speed team. We had a really great time and managed to finish in 4th place. Click here for more details. Right Click on the image to the left to download the video. 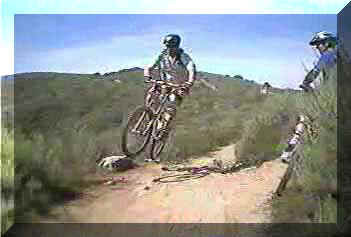 December 6th, 2003: Orange County has a lot to offer the Mountain Biker. Wither you are into the lung busting climbs of the Santa Ana Mountains or bits of technical singletrack along the Laguna Coast, it is worth your while to check it out. NOTE: All of the videos below this point were shot with my way old video camera setup. You will notice a big difference in quality. See the Video How-To page for more information on the way old, old and new setups. The Cannell Plunge in the Southern Sierra Nevada Mountain this ride is definitely an epic ride. The primary descent is "The Plunge" where this wonderful single track drops 5,000 feet in just 8 miles. Take the Plunge and you will not be disappointed! 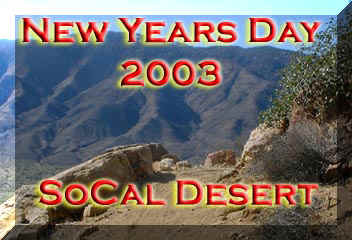 SoCal Desert Ride on New Years Day 2003. 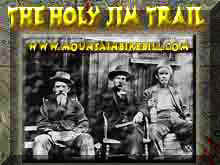 The Holy Jim Trail - Sometimes known as The Holy S%&T! 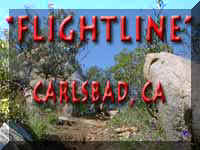 Trail for first time riders, this is a really fun Orange County ride that will test your bike handling skills. This video was shot in November of 2002. Matzalan, Mexico - September 15th, 2002: Peoria Blanca (Ranch) in the small town of Mazagua just outside of Matzalan was the site of one the 1999 World Cup races. San Juan Trail - One of my favorite rides here in Southern California. This video was taken on a blistering hot day in August of 2002.